The Purple Coneflower (Echinacea purpurea) is one of the most ubiquitous perennials in the summer garden. With its spiky central “cone” it’s no wonder the genus name comes from the Greek word for hedgehog, ekhinos. But here i n Tennessee we have our very own purple coneflower that only exists naturally in the cedar glades of middle Tennessee, specifically Davidson, Wilson and Rutherford counties. Echinacea tennesseensis was first described from a population discovered a few miles from Nashville in 1878 by Tennessee’s first state botanist Augustin Gattinger (though he mistakenly identified it as Brauneria angustifolia). The following four decades several more small populations were discovered, but as Nashville and the surrounding countryside grew exponentially these populations disappeared. The plant was thought to be extinct for nearly 50 years until a population was discovered in 1968 by Dr. Elsie Quarterman of Vanderbilt Univeristy on Mount View Road in Nashville. Several other populations were discovered in the cedar glades of middle Tennessee over the following years, though it seemed as fast as these new populations were discovered they were destroyed by development. The Tennessee coneflower differs from its cousins in several ways, however the most notable is that the flower petals face upward rather than drooping down as in the rest of the echinacea species. It also has thin, pubescent, strap-like leaves much more suited to the harsh environment of the cedar glades. 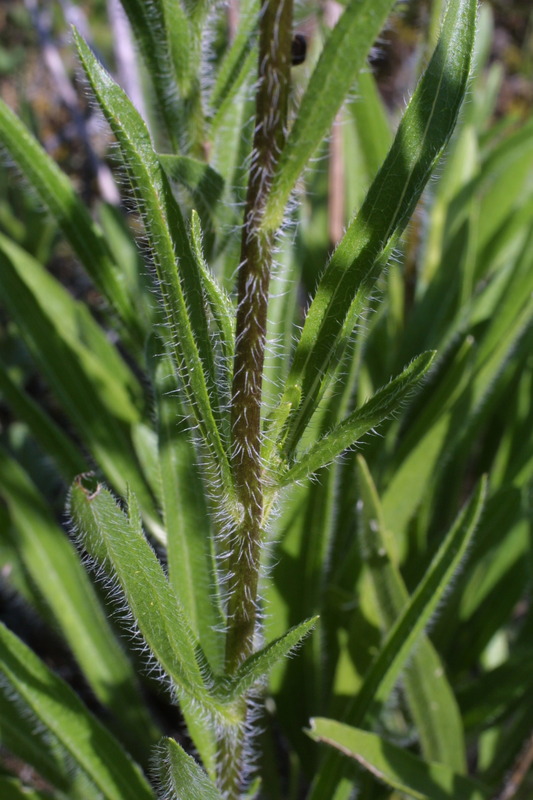 It is theorized that a progenitor species (probably angustifolia) migrated south as the prairie like conditions that existed 5000 to 8000 years spread throughout much of the southeast. As the climate changed to the more moist forest ecology we know today in middle Tennessee the cedar glades remained islands of prairie like conditions and the Tennessee coneflower evolved and adapted to its new environment into the beautiful plant we see today. Because of rampant development in and around Nashville the US Fish and Wildlife Service placed the Tennessee Purple Coneflower on the Federal Endangered Species list in July 1979, protecting the unique and sensitive coneflower habitat in perpetuity. With native populations protected and seed becoming more available the native Tennessee coneflower populations began to rebound and interest from nurseries and gardeners nationwide brought the once endangered plant into home gardens. In fact our own unique coneflower is hailed as a success story for the Endangered Species Act as it was recently removed from the list due to the protection of habitat and stability of existing populations. Here at the KBGA we have several large plantings that are thriving in our gardens and proving to be much more adaptable than the plants limited distribution would suggest. We highly recommend adding this unique Tennessee native to your garden.